This 2 bedroom, 2 bath, condo is located on the third floor of Beach Wood Villas and offers a serene wooded, lake, and preservation area view. Being sold furnished, this villa has an open floor plan with a kitchen, dining area and living room, and a balcony to enjoy the natural setting. The kitchen is bright, opens to the dining room and the laundry room is adjacent, with a full size washer and dryer. The master bedroom has a king-size bed and private bath, and the guest bedroom has a queen bed. Tile floors throughout make Florida island living a breeze! 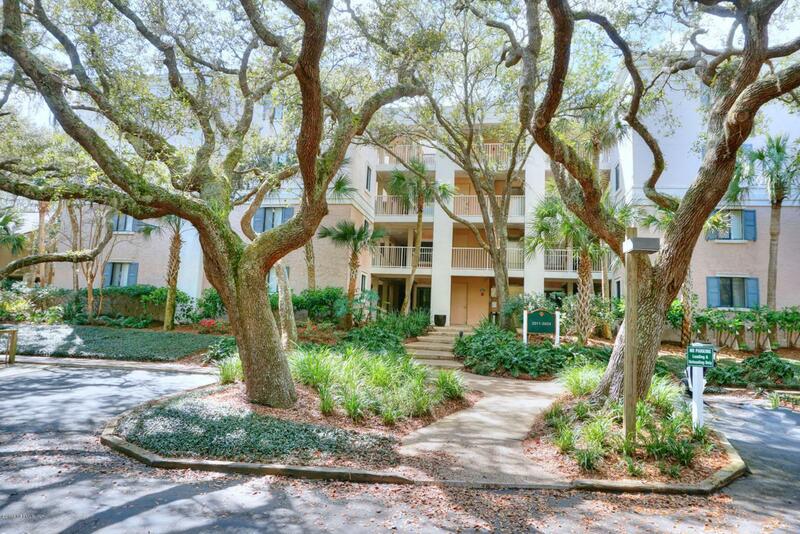 Very near the ocean and Omni Hotel on gated Amelia Island Plantation. Currently on the Omni Rental Program.